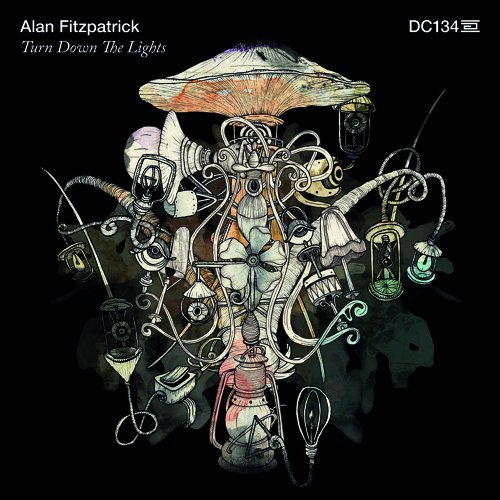 Alan Fitzpatrick returns to Drumcode for his tenth solo EP. Yes, you read that right, and no, it’s not a typo. Alan has been at the top of his game since ‘Static / Rubix’ was released in 2009. Since then, he has been responsible for the production of countless memorable tracks, including ‘Face of Rejection,’ ‘Always Something For Nothing,’ ‘Skeksis,’ ‘In The Beginning,’ and ‘The Tetra.’ Now, his new EP, ‘Turn Down the Lights,’ is about to be added to Alan’s long list of classics. The EP opens with the title track. As Alan likes to change his style every few months, this one is different from anything he’s released so far, with more of a house vibe. It has two distinct sections, and repeats each section twice. First come the piano stabs, which build the tension. The vocal pad fades in, then the pressure releases as it drops into the break. From there, a deep synth melody replaces the piano, until the vocals fade in and bring it around. ‘Organic’ is a bit of a return to Alan’s previous sound, but also has some new elements. It is faster, and most definitely built for the club. The vocals come from Superchumbo’s ‘The Revolution’. Instead of his usual stabs, he uses sliding synths and pads for this one, which are offset by claps. ‘The Catalyst’ begins very quietly as the kick and arpeggiated melody filter in. Soon the bass kicks in, giving the track a heavy and yet open sound, as if the track is being played in a large empty room. As the break is reached, the synth morphs into a longer, more complicated melody, which takes the track to its finish. The bonus track begins with a heavy kick and lurching bass line, then adds in the unique and danceable hat pattern. A simple pulsing lead is brought in at the first break, but the track quickly seems to change its mind, and replaces the first lead with an alternate one at the next break. Heavily reverberated claps give the music a feeling of absolute power, and showcase Alan’s genius. ‘Turn Down the Lights (Digital Version)’ is out now on Drumcode. ‘Turn Down the Lights (DC134.5)’ will be released on Drumcode on February 23rd, 2015. Etai Tarazi is a fairly new producer to the scene. Earlier in the year he released an EP on Nicole Moudaber’s MOOD Records. More recently, he has gained recognition for ‘Ready or Not,’ which was released on Octopus Recordings and has been supported by many major DJ’s. Now he’s back with another hard-hitting release. The EP opens with ‘Escape’, a dark, machine like track that chugs on, with a pulsing bassline, stabs, and scrapes. The track overall is minimal, but by layering the drums with pads and vocals, Etai provides an incredible weapon that is sure to be a club hit. ‘The Grind’ is even darker than the opener, with relentless robotic pads and a distorted synth. This one is somewhat different than Etai’s previous tracks, but more like something to be found on the MOOD release. It builds until the pressure can’t be held anymore, then slowly drops elements for a breath in the middle before plunging back into relentless groove. Closing the EP is ‘Locked and Loaded.’ It demonstrates the funkier side of Etai’s abilities. The break employs a deep e-piano. Then the track kicks into high gear with reverberated vocals and a booty-shaking beat. 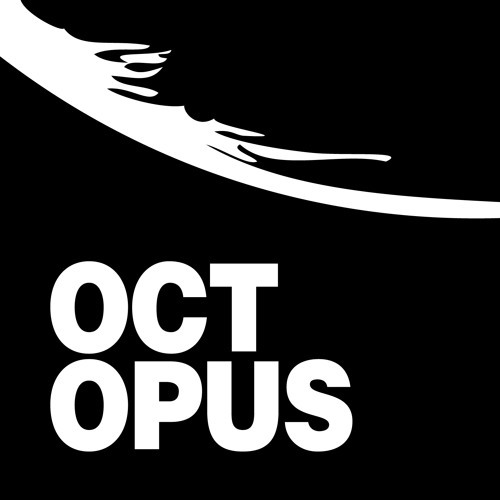 ‘Escape’ is out now on Octopus Records. You can read our recent interview with Etai here. 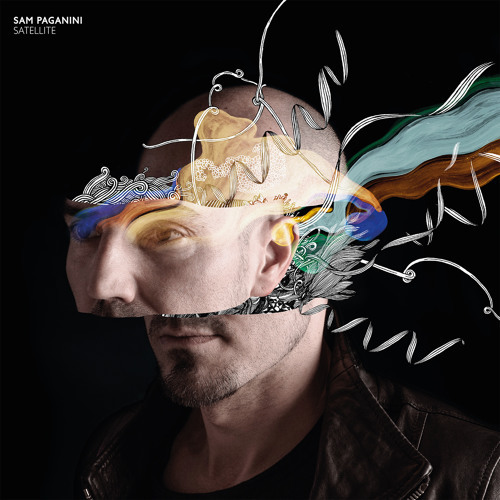 Sam Paganini has recently released ‘Satellite’, his debut album, which is a little bit surprising since he has been producing electronic music since the mid nineties. Given his experience, however, it is not surprising that no two tracks on the album sound alike, and all a produced masterfully with subtle touches and enhancements. And it is very fitting that the album was released on Adam Beyer’s Drumcode label. The album begins with the title track. ‘Satellite’ is an experimental ambient track which will no doubt be used as the starting track for many sets. It is very dark, with sweeping synths and Sam’s signature heavily-filtered vocals. Next is the ‘Another Chance’, a relentless groover. This one’s already #4 on the Beatport techno charts as I write this. Sam builds an infectious groove from the ground up, adding more layers until the final break and outro. ‘White’ is a new direction for Sam, a dark and bass-heavy track with a rolling psychedelic synth. It never fully breaks, keeping the dance floor moving the entire time. ‘Down’ is more of a return to the style of some of his earlier tracks, and can be compared to ‘Back to Zero’. It features a very funky groove which is shifted by a heavy percussion stab, while delayed vocals fill in any frequency gaps. With ‘Silver Panorama’, Sam shows that he can break all the norms of dance music. This one could fit under many different genres, but the best way I can think of to describe it is bright and sunny. The track is also very short, ending almost immediately after the break. ‘Lotus’ might be the most recognizable track from the album, having been played in Adam’s sets since the end of 2013. With a very minimal groove, subtle bass line, and repeated percussion pattern, the track peaks just after the break, when the melody breaks in with a flourish. ‘Dusty’ is a peak-time bomb, one of the two tracks that are clearly meant to smash the clubs, and are already doing a marvelous job. This one powers forward, building energy very quickly, going straight to the break, and then taking its time to fade out. ‘Toxic’ is another track that is completely different for Sam. It has no melody, but could be described as his take on the Berlin techno sound. The focus in this track is entirely on the bass and beat. Crisp hats and rides balance the sound out. ‘Cosmo’ is a break from techno, being a chill song with a soft, buzzing beat. He uses a subtle bell sound for the melody and fluttering pads for accompaniment. It seems like the entire album is building to the next track. ‘Rave’, though it has only recently been played in Adam’s sets, is already incredibly popular, and for a good reason. I have described it before as the soundtrack to the apocalypse. It is a worthy follow-up to his track ‘Chocolate’, including everything from vocals that sounds like a battle-cry, to a strong melody, to a beat that never gives up. ‘Sunflower’ begins the cool-down, dropping the energy to something deeper and more soulful. It begins with a sample recorded at the San Francisco Airport before the memorable lead comes in in octaves. A minimal beat accompanies the atmosphere. To keep the emotion and energy, Sam combines madrigal vocals with a warped pad, for a stunning effect. The album closer is fittingly titled ‘Exit.’ This one is very grand. It sounds very eerie at the beginning, then morphs something more melodic. He shows that he is a very sophisticated producer, including so many details that it is impossible to notice them all. Jel Ford is almost just a legend now, having been a music producer and manager of the famed label Jericho up until a few years ago, when he seemed to disappear without a trace. Then, earlier in the year, he took up producing again, releasing his track ‘Grand Union’ on Volume II of the Drumcode A-Sides compilation. And now he is back to demonstrate all the experience he has gained over the years with this new EP. ‘Backyard’ is the opener, a true club-smasher, starting with a deep, droning bass-line and complicated hat pattern, then bringing in a spectacular stab. From there, it progresses quickly to the main break. Jel keeps it interesting the entire time using subtle filtering effects. The other track on the release hasn’t gotten much attention yet, mostly due to the fact that Adam only played it in a recorded mix once before the last couple of weeks. ‘Meeting of Minds’ is softer and deeper, with an ambient pad and heavily delayed melodic stab. The break is a rarity, an absorptive mix of strings and pads that will put the listener in a trance. Out October 6th on Drumcode. The opening title track has been the subject of a healthy amount of hype. It was played in Adam’s sets as early as New Year’s Eve 2013. The track is like none other. It is long, beginning with a melodic intro, then dropping into the slowly building percussive section, all leading up to the incredible main break topped off with an appropriately longing vocal. Next is ‘Spaceman’, a house-y groover with subtle ambiance and a percussive hook. The track sounds very minimal on the first listen, but it has many fine details that are hard to notice at first. The filtered vocal pad, combined with the melody that enters at the break, make for a very futuristic sound which fits the title perfectly. Third is ‘Stop Talking,’ a rarely heard acid original. Hard forward driving percussion, off-beat bleeps, and a surprisingly minimal vibe round this one off. Closing out the four tracker is ‘Darlek,’ the darkest track of them all. Its gradual yet explosive build, and subtle warped vocal snippet make this one great for closing a long set. We are always happy to have new material from Adam, and this EP did not disappoint. His ingenuity and ability to vary his productions are prominently on display. Out on now on Drumcode. 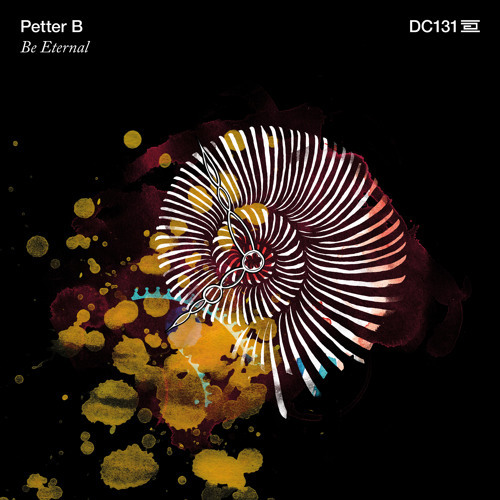 ‘Be Eternal’ is Petter B’s first EP for Drumcode Records, or his second if you count his four-track ‘Tonal Response’ EP that was released on Drumcode Ltd. in 2013. Petter’s style is raw and DJ-oriented, and has a very distinctive sound. Starting off the EP is the massive ‘Bergsjön Eternal’. The track is a collaboration with fellow Swedish artists John H and M.E.E.O. This track is never dull, with its lively arpeggios and sweeping pads, not to mention its 16-bar melody which is somewhat of a rarity among techno tracks these days. ‘Bergsjön Eternal’ was originally released on vinyl on Petter’s BOND label, but it was later signed to Drumcode so that it can reach a wider audience. It has succeeded, and has been supported by most of the day’s techno DJs. The next track is ‘Voltage Controlled Time.’ This track debuted recently in both Petter’s and Adam Beyer’s sets. It is another melodic masterpiece, first introducing it’s chunky percussion and catchy hook, then bringing in a heavy piano stab. The EP closes with ‘Loggbay Session B.’ This one is darker than the others, with a resonant filtered clap and a scratchy percussive synth reminiscent of a telegraph. This track is special in that it can be played at almost any point in one’s set without disrupting the flow of the set. Two years after the first A-Sides Compilation on Drumcode Records, Adam Beyer has compiled a second volume, featuring tracks from well-known artists as well as new signings. Volume 2 comes in two parts, the first having already dropped on June 9th, and the second on the 23rd. Each part contains 10 tracks, making this compilation almost twice as long as Volume 1. 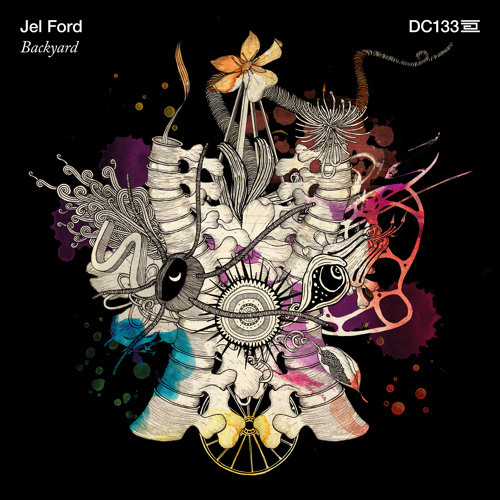 The comp opens with something new from legendary producer Jel Ford, manager of the famous Jericho Records. It is called ‘Grand Union’, and is a taste of his EP that will be out later in the year. The track is mix of old and new, with a bouncy synth and groovy bass line. Next is Nicole Moudaber’s track ‘Rooted’. It is very minimal. The distinctive violin hook is immediately recognizable, and sets the track apart from Nicole’s previous productions. This is clearly a new style for her, and we are curious to see if her new productions head in this direction. Adam Beyer shares his track ‘People Understand’, which is an updated and remixed version of an earlier track called ‘You Don’t Understand’, debuting in Drumcode Radio episode 100. It is a bomb, and something which only Adam Beyer could produce. It features dark vocals, very subtle percussion, and a recognizable hook. Gery Otis (read our interview with Gery here) debuts on Drumcode with his track Jazing. It is his first release in 2014, and is a new direction compared to anything he’s ever released before. Joel Mull’s track ‘Gallop’ is very polished, as all tracks from Joel are. The groove is built on percussion and a reverberated stab, supplemented with vocals. Bart Skils’s track ‘Acid Horizon’ is a little bit different than usual. It still has his trademark kick and ride, but the groove is something new and special. Kimono’s track ‘Rave Flavour’ is finally being released, having been first played in Drumcode Radio episode 146. This track knows where it’s going, building to the peak with the synth line at its loudest, and then falling back to the minimal beat. Trikk, a favorite artist of sister-label Truesoul, contributes ‘Uncore 95.’ Softer than the rest of the compilation, it is best for the earlier parts of a set. Lovely hats and rides sit perfectly on the light beat, accompanied by calming synth stabs and ambiance. The final track of the compilation is Sian’s much awaited track ‘Chicken Donut.’ It finally is released after being played in almost every set for months by Adam Beyer. It is similar in style to his recent album. As usual for Sian, it includes a very dark bass line and vocals. A synth rolls over the beat in triplets. ‘A-Sides Volume 2 Part 2’ is everything one could wish for in a Drumcode compilation, with very diverse sounds, successfully representing all that is Drumcode. Out on June 23rd on Drumcode Records.